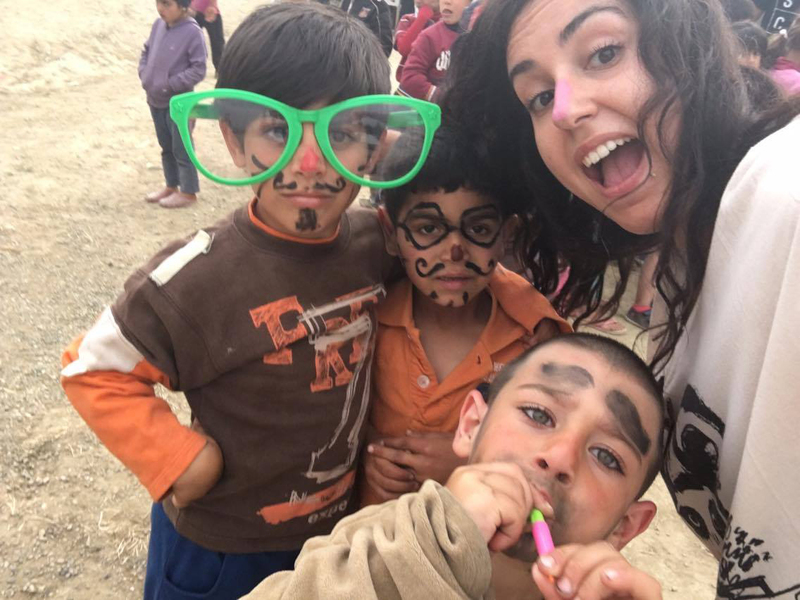 Syria Solidarity UK spoke to Tania of Road To Freedom about their work with refugees in Idomeni, on Greece’s border with FYRO Macedonia. What is Road to Freedom? Road to Freedom is an organisation that aims to provide refugees fleeing war-torn countries with immediate aid, which includes food, clothing and hygiene kits.Working with official NGO’s and charities on the ground at borders and refugee camps, Road To Freedom personally hand aid to those men, women and children in desperate need. 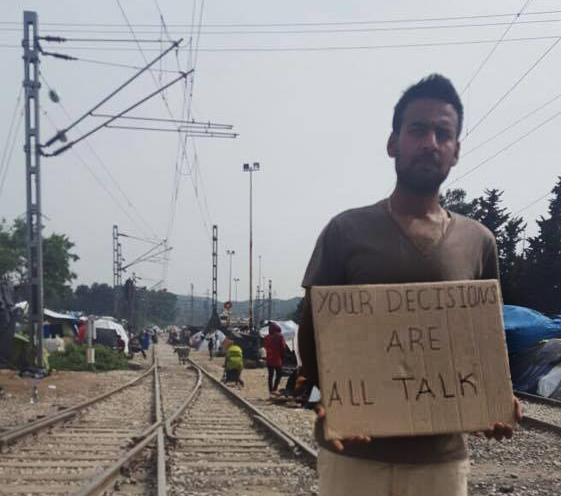 What have you been doing in Idomeni? We spent eight days in Idomeni carrying out different tasks. These included helping Al-Khair Foundation prep for lunch and dinner distributions, organising a children’s party at the Idomeni Cultural Centre, and doing a PE lesson at the Idomeni Cultural Centre school. We travelled to a school squat in Athens, and distributed aid there. 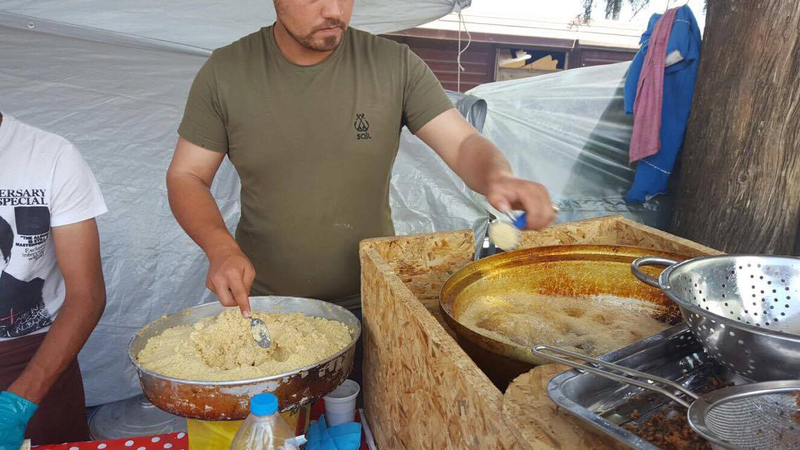 We distributed aid to individual tents in Idomeni, making sure every tent got what they required. We sat and listened to many stories so we could share to the world. What is the situation like in the camp now? The situation is very tense at the moment, some people are refusing to be relocated to other camps, some people are setting up pop-up shops in order to survive, some are simply too tired to know what to do, many fights broke out between the Kurds and Syrians. Many families are being moved to other camps on a daily basis, this usually happens early in the morning. There is a very heavy police presence in the camp now. Are there enough basic services for people? There isn’t enough basic services available for everyone, the disabled people are affected the most because they’re unable to access such services. What services and support are the volunteers providing? Volunteers are providing food, clothing, medical services, psychological support, education and creative activities. What is the attitude of the refugees to the situation, now that there seems no quick solution to their plight? They’re in despair and anguish, they’re visibly exhausted and emotional. Many are reverting to alcohol to numb the pain. Are people still determined to make it to Northern Europe? 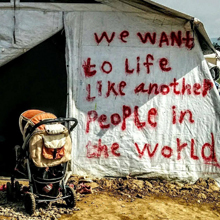 Yes absolutely, I would say 70% of those in Idomeni are refusing to leave. Many try to cross the Macedonian border late at night; every night I would see small groups of men, women, children, carrying all their belongings, walking towards the back of the forest. How are the refugees treated by the Greek government and police? Unfortunately they’re treated like animals, according to the police they’re seen as an inconvenience to the Greek people, although it is the greek people that have stepped up and supported the refugees. Are local Greeks welcoming of the refugees, or is there animosity? The local Greeks are very welcoming, we know the owner of a local BP petrol station, he allows them to set up tents there, he built a large sink with fresh water for them, he also protects them when journalists come to interview them. What is the next project that Road to Freedom is planning? 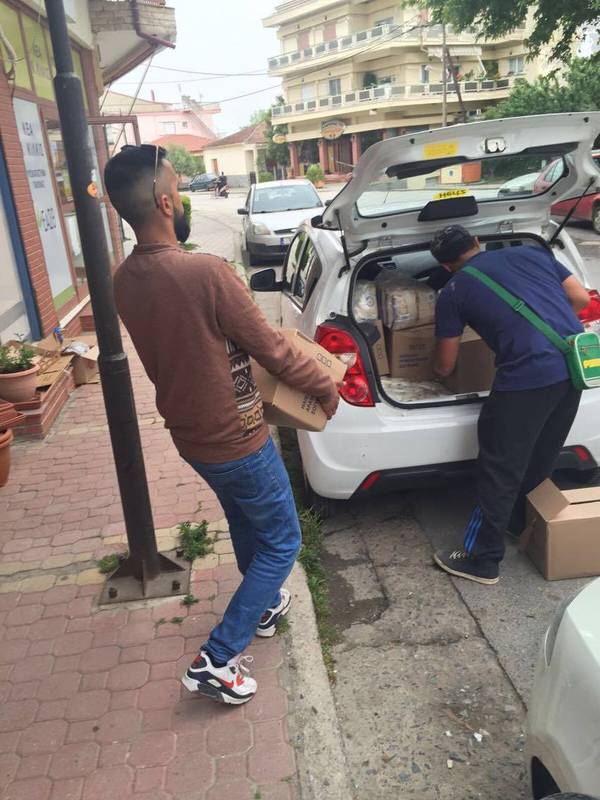 The next trip is RoadToCalais2, a one day trip to the jungle to provide food and hygiene parcels. Myself and Ellie are heading to Lagkadikia, a UN operated camp near Thessaloniki at the end of June, we know many families and friends who’ve moved there from Idomeni recently and would love to work closely with the UN for a week. The majority of the refugees are from Syria, and half of those are Kurdish Syrians and a few are Palestinian Syrians. I have spoken to refugees from Pakistan, Somalia, Algeria, Morocco and Sudan. How had they travelled to Greece? They travelled from Syria to Turkey, where they paid thousands of dollars to cross the Aegean Sea in a rubber boat onto the greek islands, the most popular island is Lesvos. From Lesvos they travelled to Athens via ferry, from Athens to Thessaloniki on a bus. Many walked from Thessaloniki to Idomeni, while others caught a bus to the border. We’ve seen protests by refugees from Aleppo against the bombing of their home; what other examples have you seen of refugees protesting and self-organising? 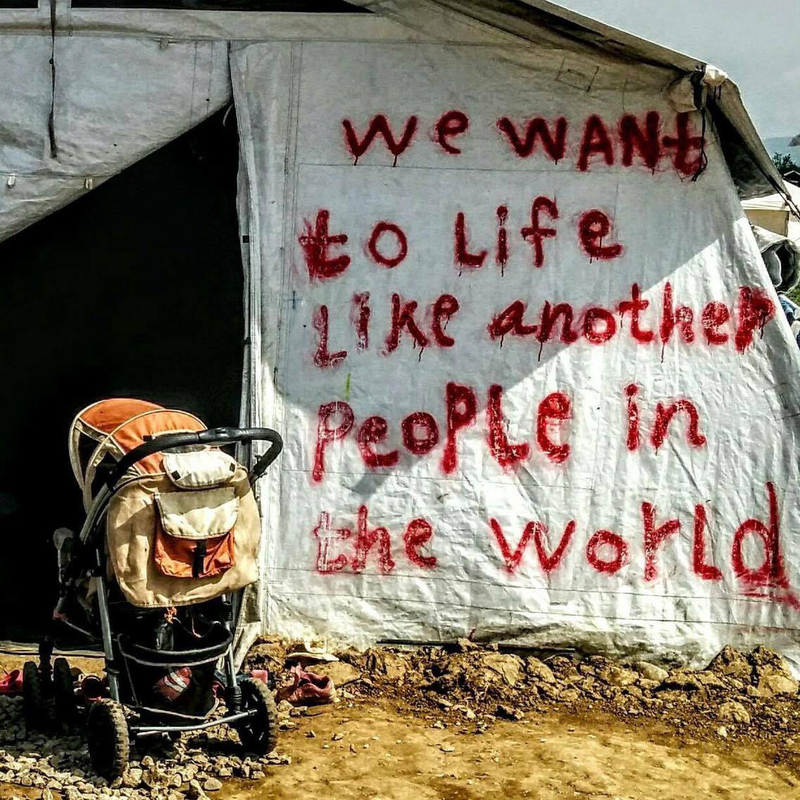 Every day I would witness some sort of protesting in Idomeni, whether it was small children shouting ‘open the border,’ or men standing silently by the train tracks with placards, or new graffiti on tents and walls, or seeing small group discussing next steps by the assembly tent. 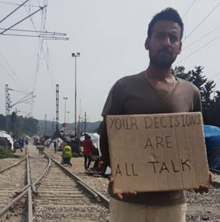 Protesting in Idomeni has become a vital part of their everyday life; they see the importance of making themselves heard.